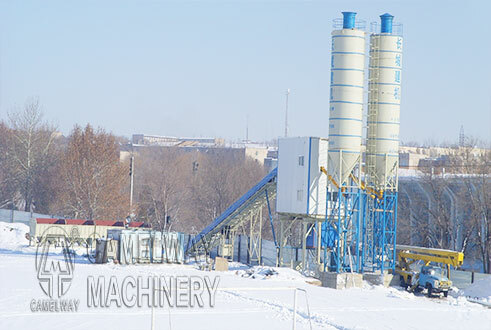 Zhengzhou CamelWay Machinery is an excellent concrete batching plant manufacturer, and the company has many types of concrete mixing plants for customers to choose.HZS90 Concrete Batching Plant enjoys unquestionable superiority. It is featured by automatic controlling, standard manufacturing process and high Production Capacity . It can also precisely conduct materials weighting and compounding and effectively control concrete quality. Main equipment:PLD2400 Automatic Batching Plant, belt conveyor, screw conveyor, cement silo,control room, etc.